Spending time with any archive is a privilege; access to primary sources of historical information just can’t be beaten. The Letters of the Holden family held in Special Collections at the University of Bradford are no exception. Spanning over tens of boxes this archive is a veritable treasure trove of first hand information on Bradford’s wool industry during its heyday. The personal letters sent to Isaac Holden from his children reveal much about the reality of his business, from trading with other local business partners and expansion of the company to experiments with new ways of combing the wool and problems with the machinery. But they also reveal a great deal about their personal lives and family relationships. The first challenge when reading letters from the 19th Century, such as these, is to interpret the handwriting. Skills in palaeography, the study of old hand writing, would have stood me in good stead to begin this task, but instead a determination to find out what was written in these letters had to suffice. Thankfully I found that the inky scrawl of Maggie Holden achieved more and more clarity each time I picked up one of her letters to her father. Each one revealed copious amounts about not only Maggie and Isaac, but other family members. Details of births, deaths and marriages, yet also the relationships between mother and daughter, the arguments had and apologised for, the visit of ‘the first’ physician for consumption in Europe to Mary in Torquay. It is these details which are not recorded in the history books and would be lost if these letters were not preserved. There are also many letters sent from Isaac’s sons regarding business and touching on personal issues. But what these really reveal is the inner workings of a family business, the relationships and conversations between father and sons working together to achieve industry success. I found myself eagerly awaiting the next letter from Angus to his father, detailing the progress of the new Shed on Thornton Road and discussing the details of the chimney. Walking along Thornton Road today it seems so alive knowing some of the history of the area, empty mill buildings somehow seem more fascinating and important, which demonstrates the value of this resource for local people as well as historians. A very happy postscript to my post about Untangling the Holdens, our new mini-project to share the rich content of the Holden Papers. I’ve been invited to include the Papers in a joint funding bid for digitisation with some other universities. Really exciting prospect! More details will follow if we are successful. If not, we will still have more information about the Holden Papers which will help with other bids in future. The papers of Isaac Holden and his family form one of the most rich, exciting archives in Special Collections. Sir Isaac was a Bradford wool manufacturer who pioneered new woolcombing techniques, established factories in France, and later became an M.P. The papers consist mainly of letters between Sir Isaac and family members. 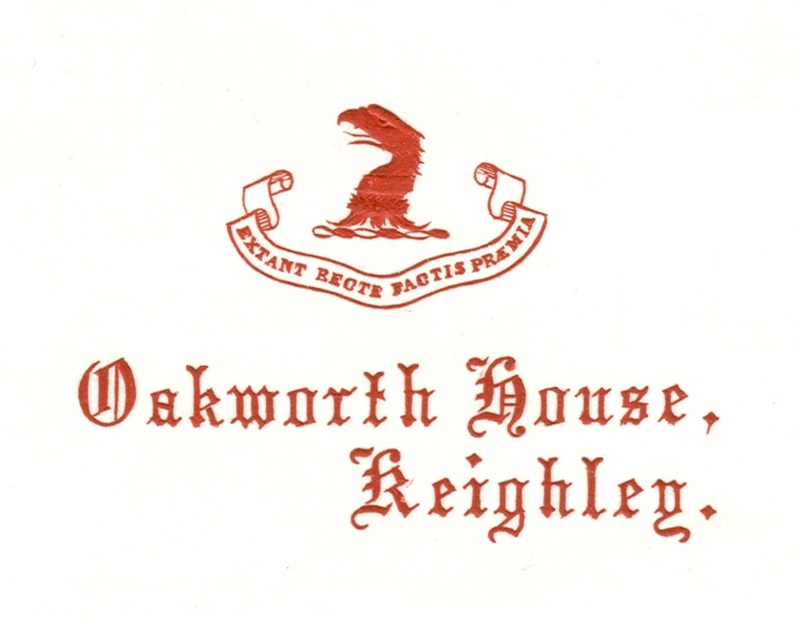 They are full of detail about social and cultural life, religion, travel, industry, politics … Bradford and Keighley (the Holdens lived at Oakworth House) are covered, as is France and even New Zealand. However, this detail has not yet been captured and therefore the collections are not reaching their full potential. We have a basic list which is accurate as far as it goes, but it was created long before the material came to Special Collections. It does not record many aspects that interest readers now. Hence our new project, Untangling the Holdens, in which we will record and make available the names, places and themes covered in the letters. This will help bring them to new audiences and develop exciting projects. The library’s two graduate trainees (Jen Fox and Maria O’Hara) are working on the material during their time in Special Collections this summer. This is giving them excellent experience in handling and interpreting historic material. Once the trainees have completed their time with us, we will have more idea how long the work will take and can then consider options for continuing. I will be posting about what we have discovered and how the project will continue, watch this space! An intriguing find in a very shabby set of “The life and letters of Charles Darwin”, edited by his son, Francis Darwin: a short letter from Thomas Henry Huxley, “Darwin’s bulldog”. The volumes belonged to Lawson Tait, who seems to have asked Huxley for a copy of his obituary of Darwin, which is inserted in vol. 1 with the accompanying letter. The set came to Bradford in 1964. The Huxley connection makes them interesting artefacts so they are now part of Special Collections. The volume containing the letter is now on show at International Darwin Conference at the University of Bradford 24-26 September 2009. The Conference is part of a programme of events celebrating Darwin’s links with Bradford. After finishing the writing of “On the Origin of Species”, the exhausted Darwin came to Ilkley to take the water cure. He sent out complimentary copies of this work and planned corrections for the second edition, the first already being oversubscribed and a reprint required. The Papers of Sir Isaac Holden and his family are among the most popular Special Collections at the University of Bradford. Sir Isaac was a West Riding inventor and successful industrialist who became an M.P. 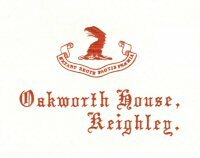 The Papers are rich in detail of the wool industry and social customs of the time and include information about the Holden factories in France and about Sir Isaac’s home, Oakworth House in Keighley. A new and (we hope) more user-friendly edition of the Holden papers handlist is now available on the Archive web page. 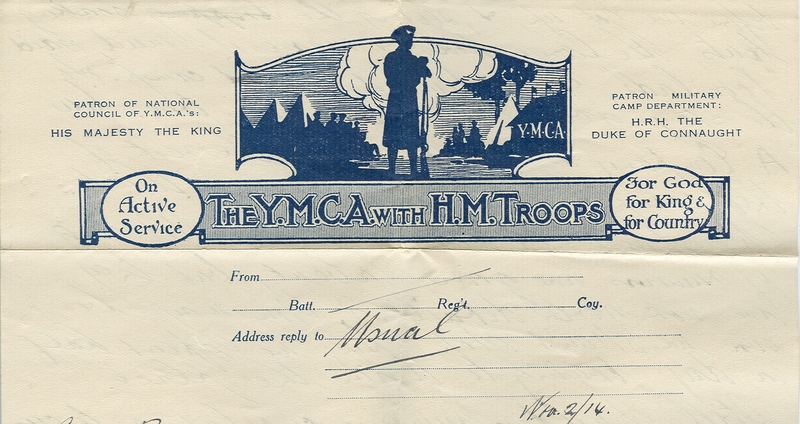 It includes some letters and ephemera received recently. Image: crest used on Holden notepaper.